The NOCO Commercial Battery Box is designed for 4D batteries. 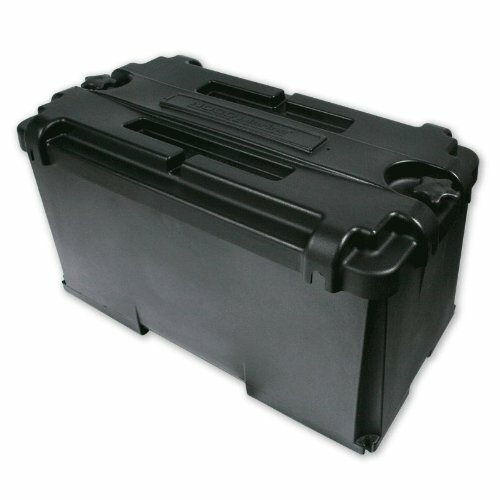 These Commercial Battery Boxes are rotationally molded from the highest quality, low density polyethylene plastic. Maintain their tough impact properties in climates down to -40 degrees Fahrenheit. Resistant to UV exposure. Meets USCG Code of Federal Regulations 183.420 and ABYC E-10.7 specification. Bought this battery box for my boat and it fits my 4D battery perfectly. A very tough battery box that thick walls. It was easy to install and does exactly what I needed it for. Nice product.